The magic of PureView lives on! The NOKIA 8 is HMD’s very first Android flagship smartphone. 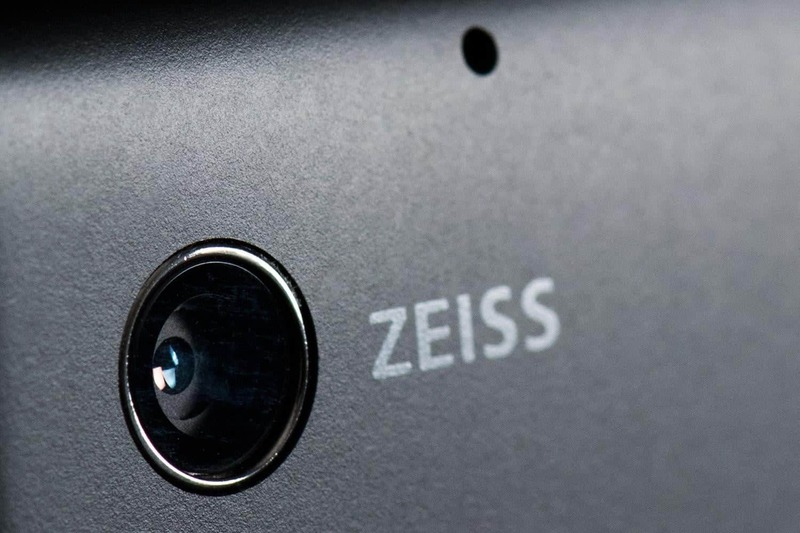 This also marks the return of Carl Zeiss, the German optics maker, into the smartphone world. The Nokia-Zeiss partnership is like a hotword for innovation during their time, known for developing the PureView technology which is one of the best smartphone camera innovation of the decade. When Microsoft acquired Nokia’s mobile division, the two companies part their ways. Zeiss continues to make lenses for the Lumia flagships, while Nokia focuses on its network infrastructure business. In 2016, Nokia announced that it’s licensing the Nokia-brand to a small Finnish startup company called HMD Global. And by January of 2017, HMD Global announced their very first Android smartphone in China, the mid-range NOKIA 6. In February of the same year, HMD Global joined the MWC 2017 in Barcelona where it showcased other Nokia-branded smartphones alongside the revived classic, the Nokia 3310. But it wasn’t until August that HMD finally announced their first flagship smartphone in London, the Nokia 8. It is one of the most powerful flagship in the market, housed in a very boring metal shell. As expected, it does have a Carl Zeiss lenses, unfortunately, it is not as impressive as those of its ancestors. The Nokia 8 has a dual rear-facing camera, a 13MP RGB sensor (1.12-micron pixels) with a f/2.0 aperture and an optical image stabilization (OIS), paired up with a 13MP monochrome sensor. The images taken by the two cameras are then merged together to create detailed low light images with very less noise, and broader dynamic range when used in full sunlight. It also has a number of technologies built into it. 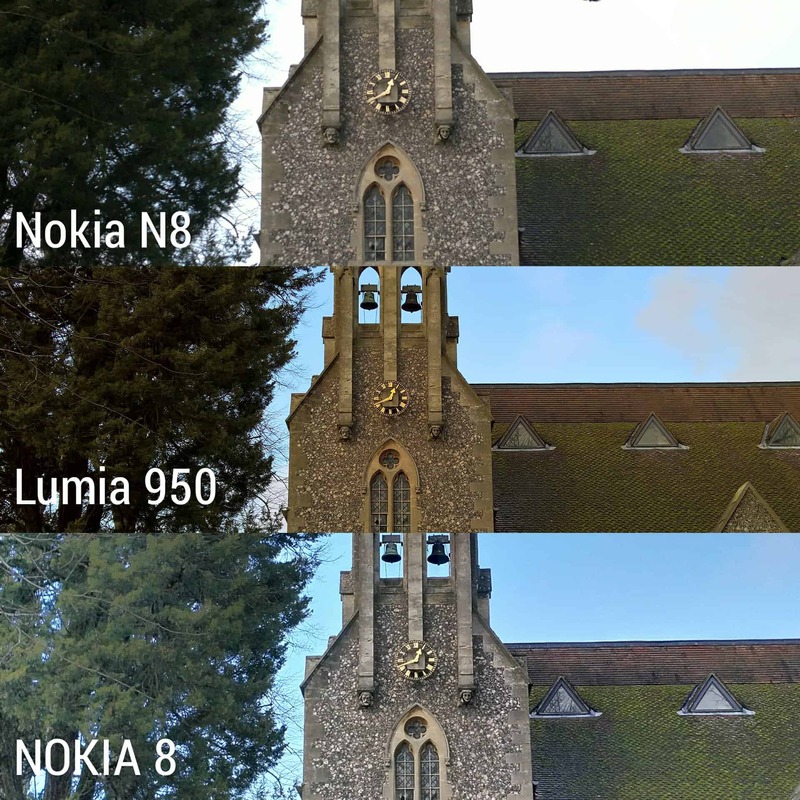 The Nokia 8’s camera features a phase detection autofocus (PDAF), Time-of-Flight ranging sensor and contrast detection for the more accurate focus area. 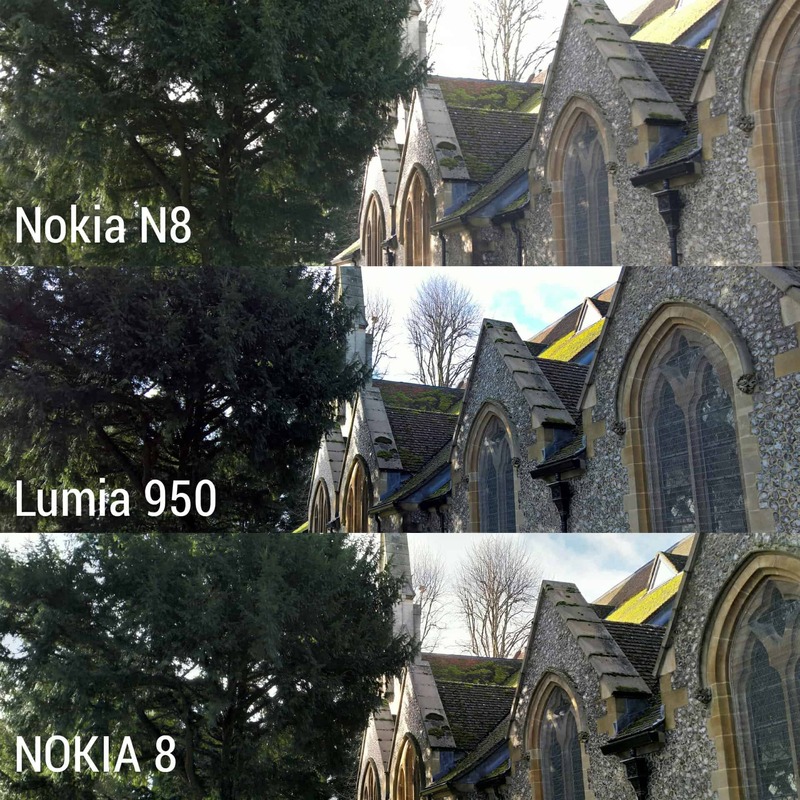 However, despite having a very powerful camera hardware, the Nokia 8 only manages to score a low rating of 68 on DXoMark. Basically, a score that is comparable to Samsung Galaxy S6, a three-year-old smartphone. But hey, don’t trust DXoMark right? Oh, sure. So we went to another website called All About Symbian. These guys have been around since the infancy stage of the Symbian platform. 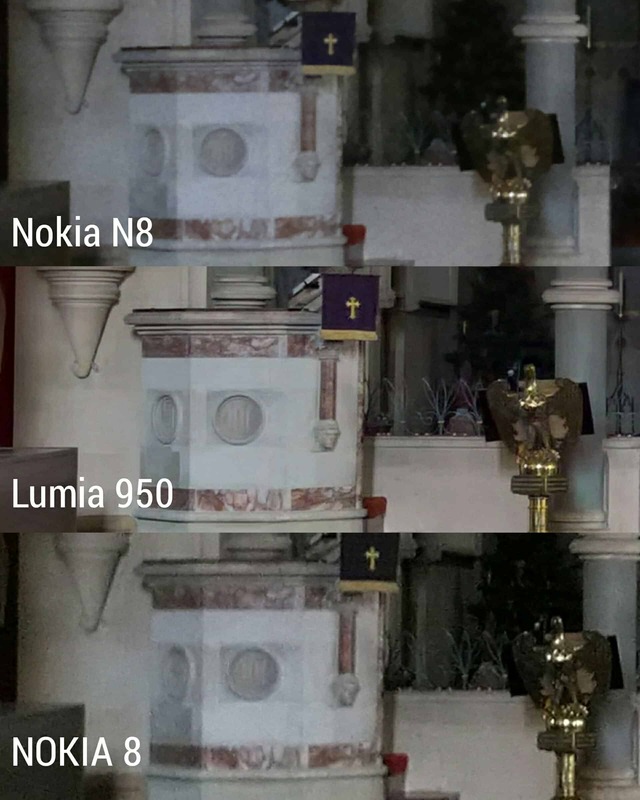 Here, they compare the camera on Nokia 8 with Lumia 950 and Nokia N8. 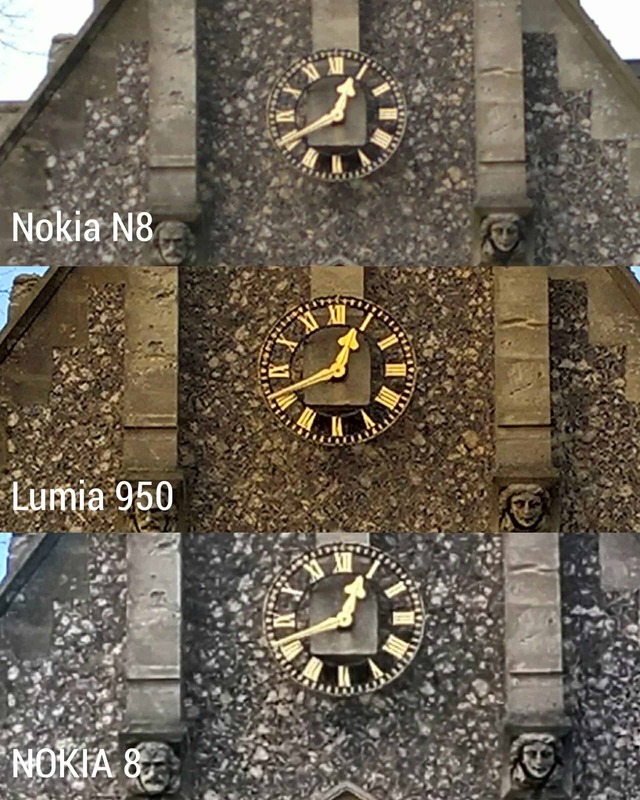 The Nokia N8’s output turns out to be the most natural among the three. This is mainly due to little to no image processing is done. What comes out of the Bayer filter is what it is, minus the JPG compression, of course. Lumia 950 and Nokia 8’s outputs have a little bit of sharpness and saturation. However, despite some internal retouches, Nokia 8 comes out to have the dullest output among the three. Lumia 950, on the other hand, has the most pleasing output among the three contenders. 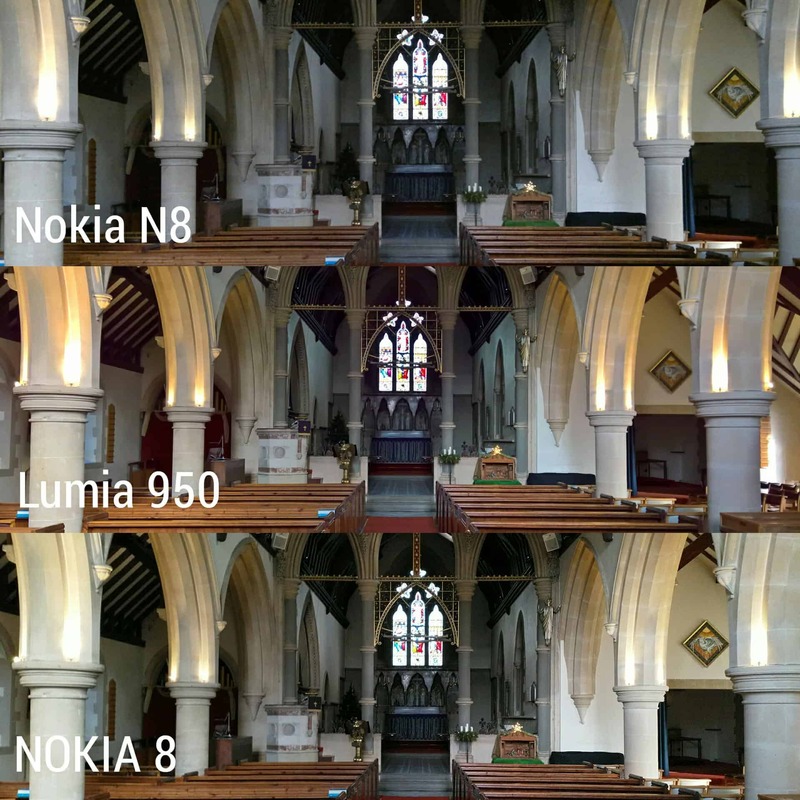 Nokia N8 suffers in handling dynamic range in the brighter parts of the scene. The photo also has a bad contrast level. Overall, the Nokia 8 does a pretty good job, although Lumia 950 tops again with a sharper output and good dynamic range. The images are, of course, blocky. However, Lumia 950 again manages to edge out the two contenders. For a smartphone with 16MP sensor (using 16:9 aspect ratio) paired with PureView technology, the Lumia 950 is somehow expected to own this round. The only problem with the 950’s output is the yellow casting, which is prevalent on all Lumia smartphones. Nevertheless, it is impressive for the Lumia 950 to beat the hell out of Nokia 8. 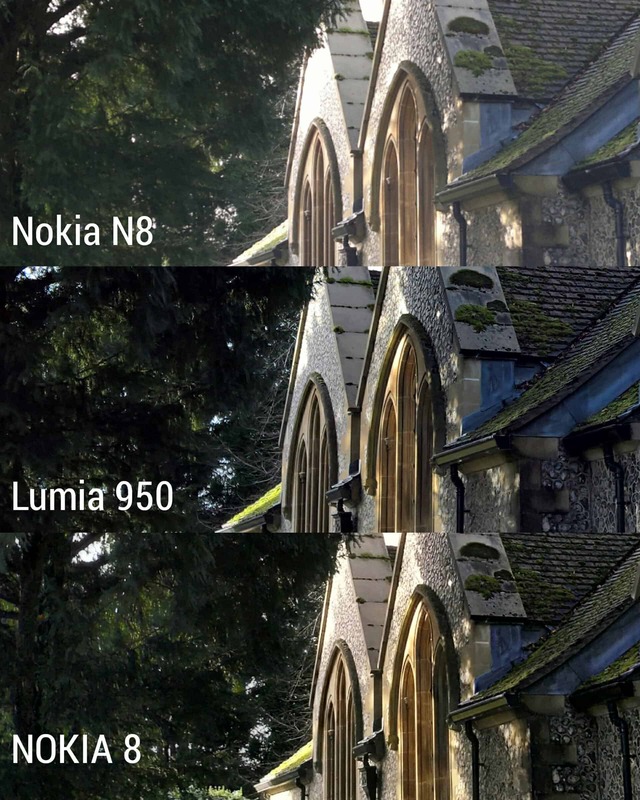 With a f/2.8 aperture, the Nokia N8 has the poorest lowlight performance among the three. Of course, being a 2010 smartphone, it doesn’t have an OIS to allow longer exposures, the result is a mushy image with a lot of noise. Nokia 8 also kinda suffers in low light scenario. This is despite having a f/2.0 aperture, OIS, a couple of autofocus technologies and a pair of RGB/Monochrome sensors to allow sharper lowlight images with less noise. The camera software and the small size sensor is the culprit here. 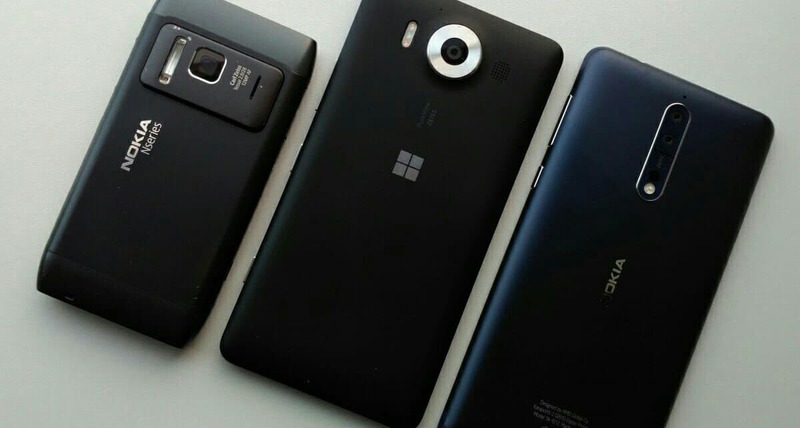 Lumia 950, yet again, stand out among the three. Good OIS, large BSI sensor, Zeiss optics, and PureView technology. Just look at the crop. That’s how fabulous the PureView is. 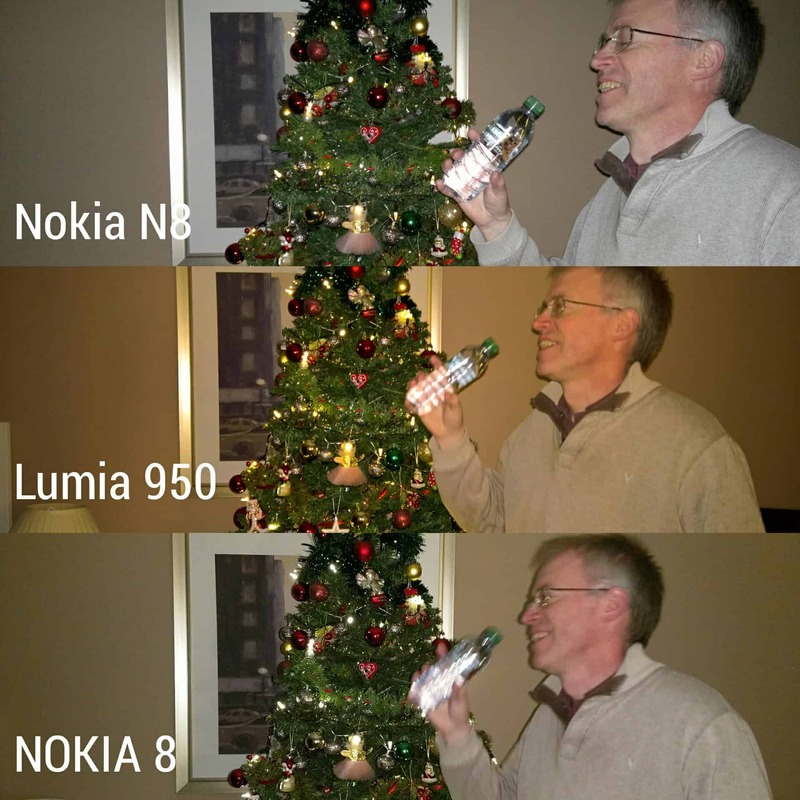 That’s real Nokia DNA right there! 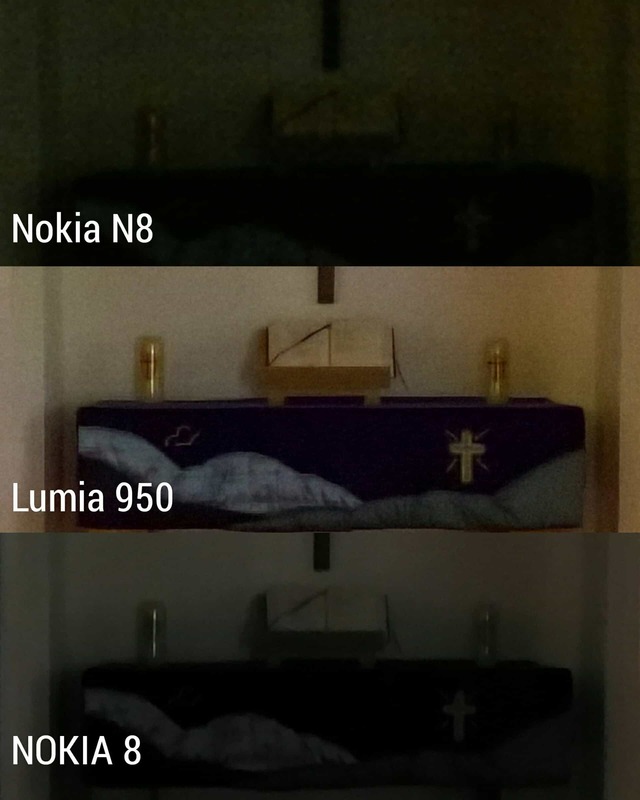 Again, Nokia N8 wasn’t built for this extreme lowlight scenario (that’s why Xenon flash exists). The Nokia 8, with its RGB/Monochrome dual-camera setup, yields the closest to the eyes image. Its OIS allows 1/10s exposure with a very minimal noise. Still, its underperforming in low light, given all that modern technology it has in the pack. As expected for a flagship Lumia smartphone with PureView technology (maybe in between the Phase 1 and Phase 2, I’m not sure), the Lumia 950 was able to transform night into day. This is a landslide win. Look at that output, its like day and night comparison! Good OIS, great optics, impressive software algorithm. According to All About Symbian, all of the phones were placed on a tripod with a timer to snap the photos. 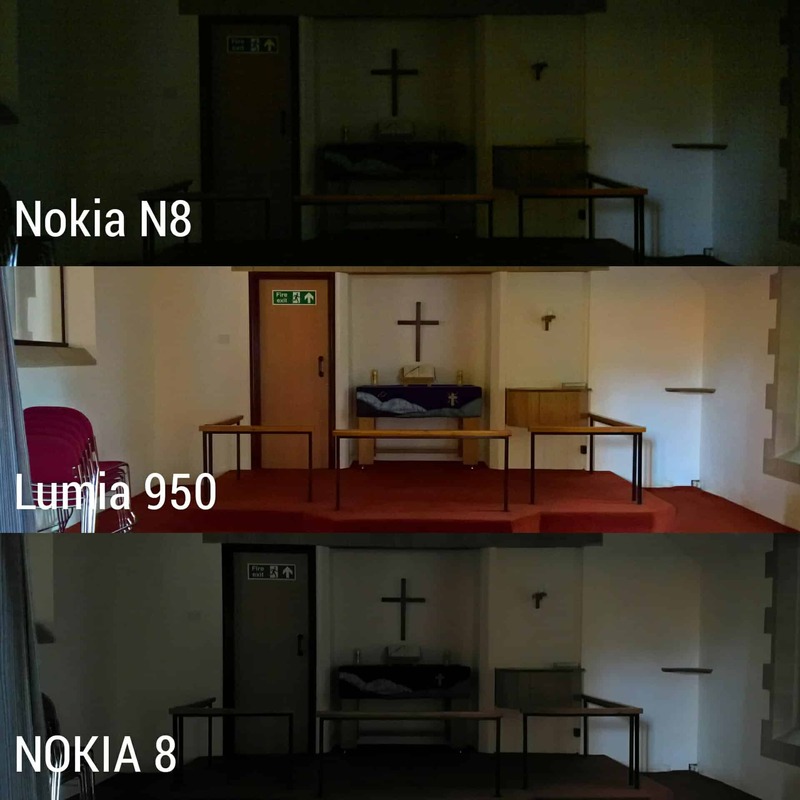 This is where the Nokia N8 performs the best. Although with a little bit of noise, N8’s built-in xenon flash succeeded in freezing the subject. As you can see above, it has the sharpest output among the three. Totally a landslide win for 2010 smartphone. Lumia 950, yet again, shows some yellow cast and although it tried its best to freeze the subject (but failed to do so), it messes up with focusing. 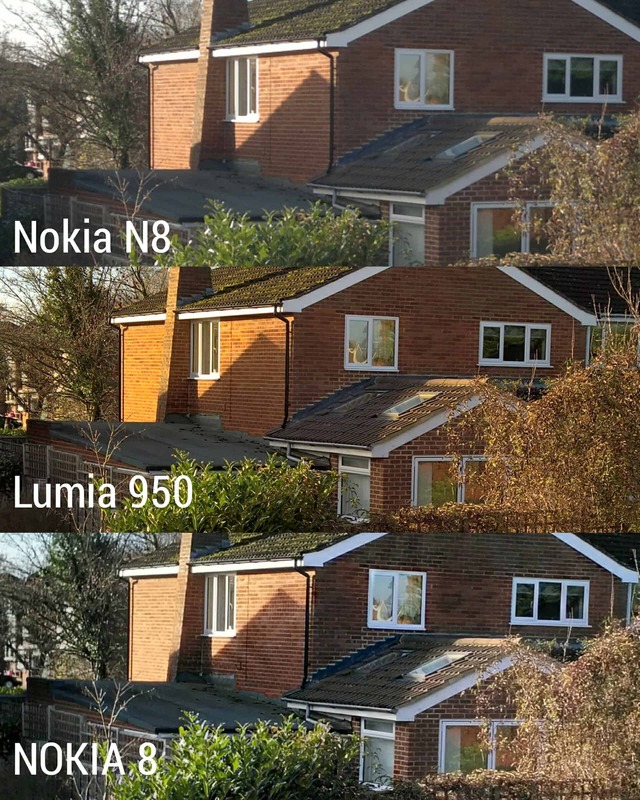 Nokia 8’s output is a bit noisy and just like the Lumia 950, it also suffers when it comes to freezing the subject. At least, the laser autofocus helped manage to make the static part of the scene stay in focus. The Nokia N8 may have been the poorest performer among the three, nevertheless, it still managed to tie up with the Nokia 8. 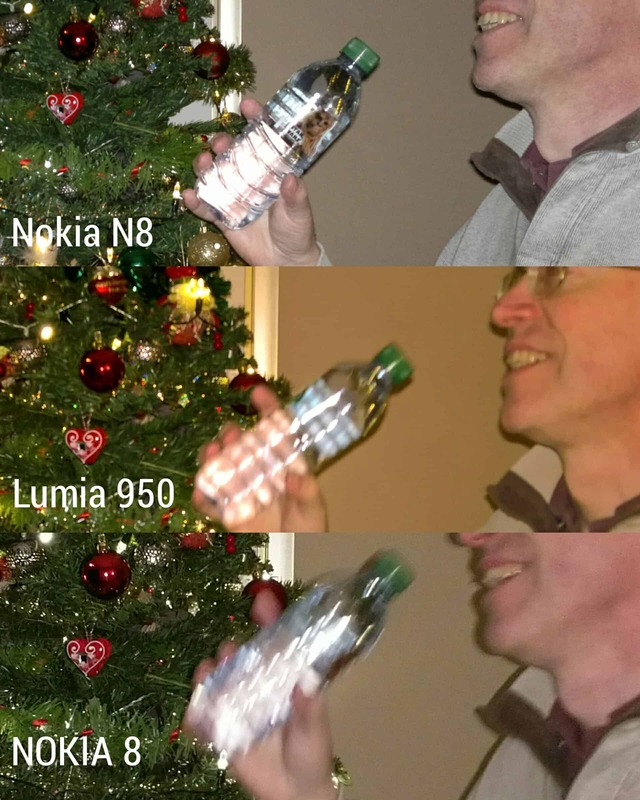 Thanks to its Xenon flash, Nokia N8 was able to freeze its subject precisely. The natural looking output also helped propel it on the same spot as the Nokia 8. The Lumia 950, in spite of its aging hardware, still easily aced out the Nokia 8. Thanks to its good OIS, optics and software algorithm, the Lumia 950 still takes the best photos even after two years. 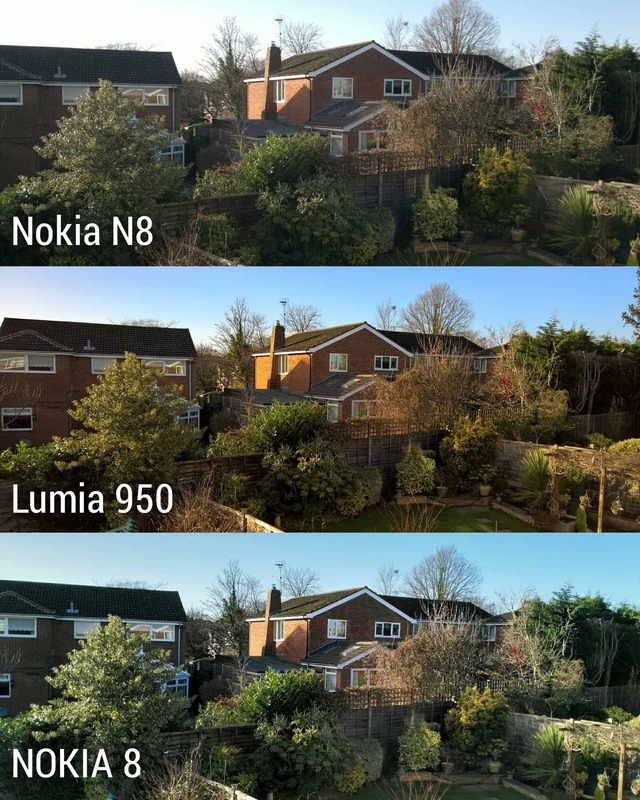 Despite having the same score with the Nokia N8, the performance of the Nokia 8 (given all those powerful camera hardware) can still be improved via software update. Overall, a good performer. Not just on par with the PureView phones.